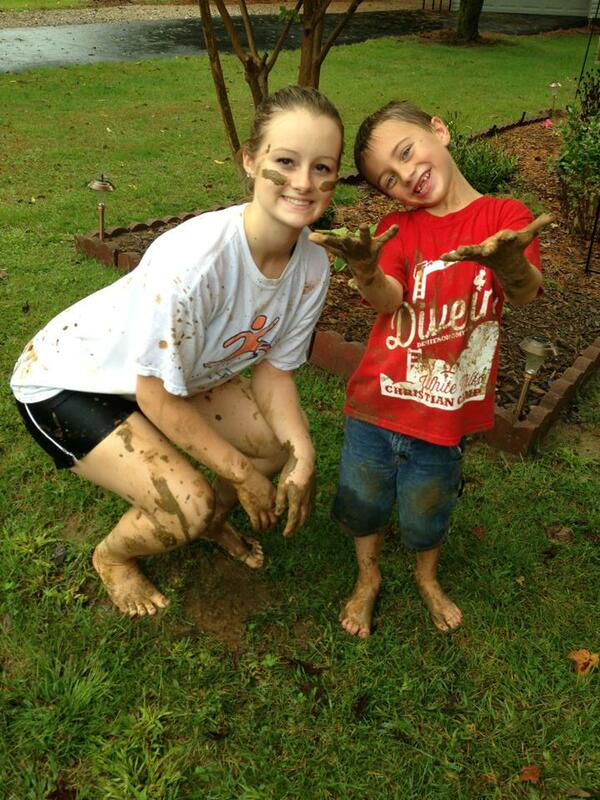 Today is International Mud Day. Who knew there was such a holiday? Apparently it began in Nepal with the intention to cheer up 58 orphans by getting them outside to enjoy nature. 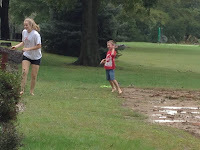 After splashing around in the mud, it is said that the children’s moods and attitudes improved. While I was never one that really liked getting dirty, I do recall a summer day where my sister and I took some aluminum pie pans, made mud pies, and created a huge mess for my mom. She wasn’t pleased. I can understand why. I live with a mud magnet, and sometimes those patches and skid marks all over his shorts and pants take more than one attempt to remove. Hang up the garment and allow the mud to dry. Gently scrape off the dried mud and shake to remove as much as possible. Spray the area with a laundry pre-treating product or cover the area in a liquid laundry detergent. Allow it to sit for 15 minutes. Fill a bucket or sink with water and place the garment in the water to soak. After letting it sit for 10-15 minutes, try flexing the material around the stain to loosen the ground in dirt. Alternate flexing and soaking until the stain is removed or you no longer see progress. If necessary, pre-treat the area again and launder according to the care label’s directions. Once it has run through the washing machine, check the area to make sure the stain has been removed before placing it in the dryer. If it hasn’t, try repeating the process. As with any stain removing attempts, you need to know when to stop. There comes a point where you could damage the fibers or pull the color. If you get to that stopping point, drop the item by one of our locations. Our trained staff will be glad to take it from there. It can start in your washing machine; moisture, soap build up, and dirt build up in your washer and can turn to mold over time. Steer clear of using too much laundry detergent, and check the owner’s manual for instructions on how to properly clean and maintain your washing machine. If it has been going on for quite some time, consider calling a service man to identify the exact location of the problem and how to solve it. Not properly cleaning your clothes can also lead to odor issues. Something we’ve all been guilty of on occasion is overloading the washing machine. 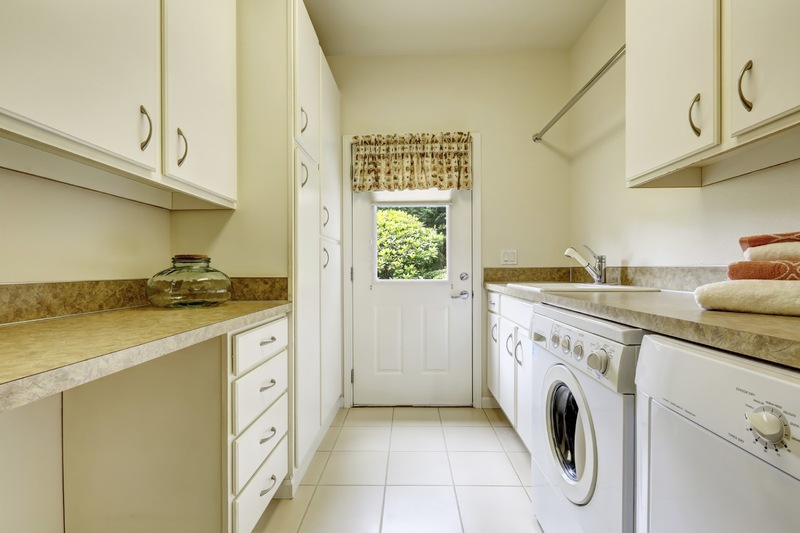 Unfortunately, a too full washer doesn’t allow the detergent or clothes to move around sufficiently, causing some stains and spills to be missed and leaving detergent residue on clothes. There’s a simple solution to this one – don’t overload your washer. Letting your laundry sit for too long before washing. While this is helpful with stain removal, it is also important, especially if we’re talking about damp items like towels or workout clothes. Bacteria can begin breeding within hours, leaving an intense smell. If you can’t wash damp items or workout clothes right away, don’t leave them in a pile. Instead, lay them out to dry or hang them on a drying rack. 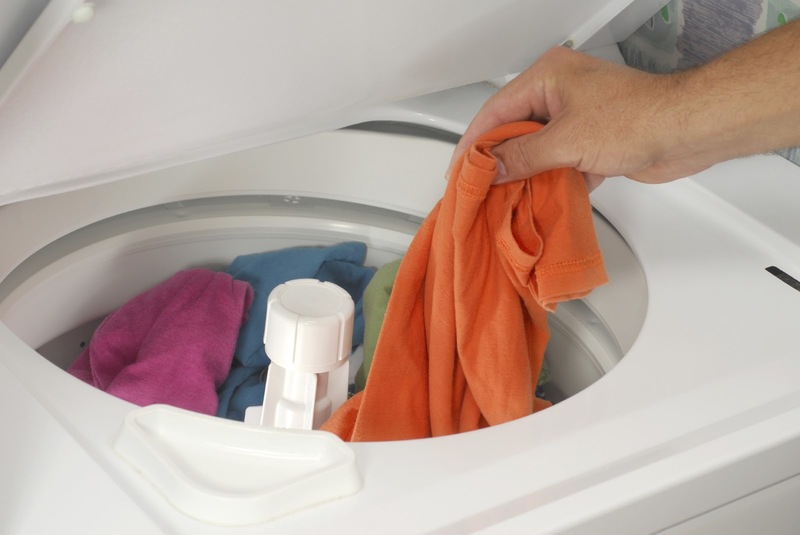 One tip we’ve often shared on Facebook, Twitter, and G+ is to not put damp clothes away. Damp clothes in dark places start to grow mold or mildew, causing that musty, sour smell. Always make sure clothes are completely dry before putting them away. For things like white undergarments, rewash them in chlorine bleach using the hottest water that’s safe for the fabric. If they are color clothes or towels, add a small box of baking soda to the wash. Hang items outside in the sunlight to dry. Fresh air and direct sunlight eliminate mildew. To reduce chances of fading, turn garments inside out. If none of those suggestions work, you can always bring the items by one of our locations. Our trained staff will be glad to help you solve the problem. It also hasn’t taken Dustin long to detect a pattern with many of the garment he sees – customers letting stains sit on garments for weeks before bringing them to be cleaned. If you follow our tips and posts, then you know that if a stain is left untreated for a long period of time, it becomes part of the fabric. “After a stain has had a chance to sit there for a while, it makes my job a little harder,” said Dustin. On a side note, research done by the Drycleaning & Laundry Institute shows that for stains aged for only one week, 20% of stains cannot be removed satisfactorily. After three weeks, the percentage increases to 47%. If you happen to be near our Golden Gate location, stop by and meet Dustin. Not only will he be happy to answer any garment care questions you might have, he will also be glad to swap fishing stories. Fishing, by far, is one of his most favorite activities. “I keep my rod in my car at all times,” Dustin exclaimed. Smart move. It’s good to always be prepared. My husband loves it when our son is ‘all boy’. I do not. Let me rephrase that. ‘All boy’ means he is outside, usually without shoes, rolling around in the mud, dirt, and grass, and then tracking all kinds of stuff into the house, and that typically translates into added work for me. While we have instituted a no shoes past the kitchen policy in our house, that doesn’t do much when he doesn’t put shoes on to go outside. When he finally comes in, his clothes (and feet) have mud, dirt, and grass stains all over them, but because he doesn’t have shoes on, he proceeds past the kitchen tromping on my dining room rug. That’s the part I don’t like. Let the mud dry. If you try cleaning it up while it’s wet, you’ll end up pushing the mud deeper into the fibers. Once it’s dry, vacuum the area to remove as much of the dried mud as possible. Vacuum slowly, multiple times, and in different directions. To remove any residual dirt, mix up a gentle soapy solution using cold water and a mild detergent like Woolite. Gently blot the soapy water onto the area using a clean, white cloth. Be sure not to scrub or rub too firmly. Using a white cloth is important because it allows you to see if the stain is lifting, and if you use a cloth with color or print, the dye could transfer to the rug. Continue blotting, changing around the towel to see the stain transfer. Once there the stain is no longer transferring to the cloth, rinse the area thoroughly with plain water and blot dry with a clean, white towel. If this method doesn’t remove the mud, then stop. Too many repeated attempts could cause permanent damage to the rug’s fiber. 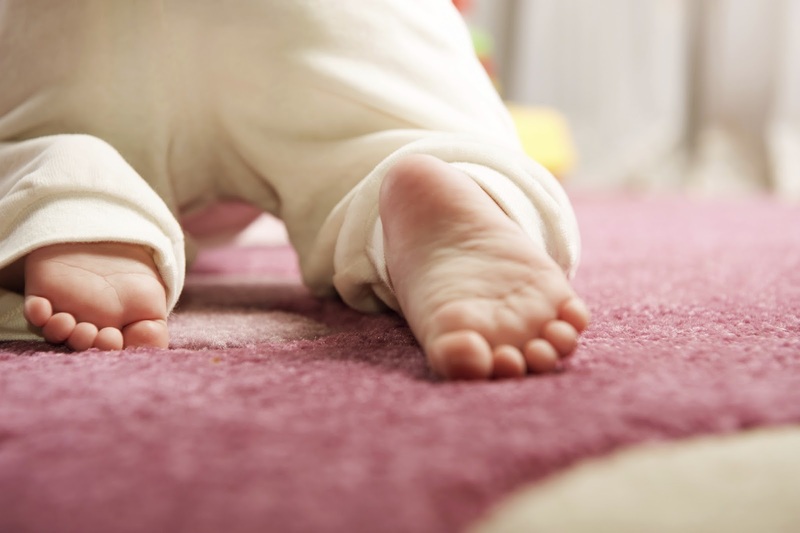 If you have a stubborn dirt or mud stain that you need help with, give Greg with A Cleaner World Rug Cleaning a call at 336-804-0045 or e-mail him at acwcarpet@earthlink.net. He has the expertise and equipment to easily remove any dirt and such that your child might track in. 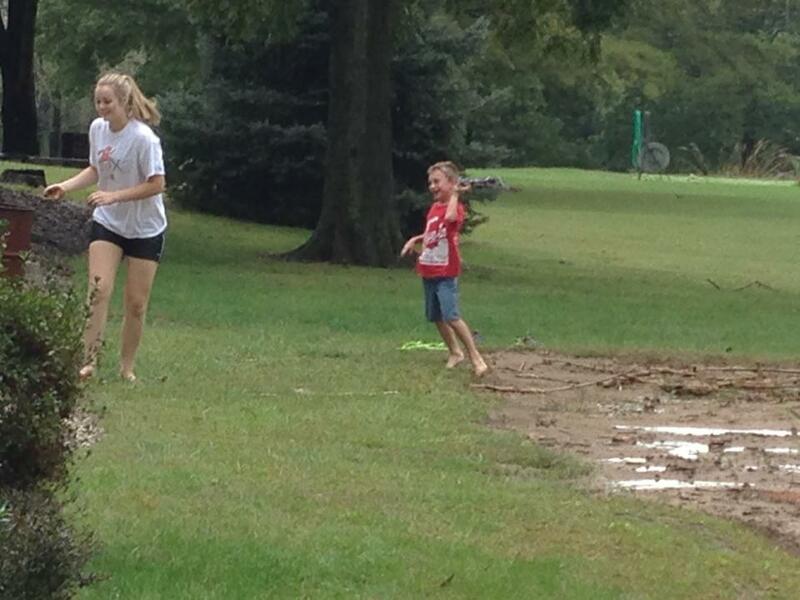 A few weeks ago on a Saturday, I showed up at a Cub Scout event around noon to cheer for Gray. I fed him a big breakfast that morning and brought some snacks with me, not knowing that they were grilling hamburgers for lunch. When I walked in, I discovered my child eating a hamburger loaded with all kinds of stuff, and running down the front of his Cub Scout uniform shirt was a huge glob of ketchup. Poor Gray. He still hasn’t mastered the art of eating without getting his food all over his clothes. Actually, I should say poor mom. I’m the one with the privilege of cleaning up his messy clothes. At the event, I scraped the glob off with a plastic spoon and then left it alone. I’ve learned over the years that rubbing at a spill can push the substance further into the fibers. As soon as we got home, I flushed the area with cold water, running it from the back of the garment. I sprayed on a grocery-store spotting agent and let it sit for 20 minutes. I then laundered according to the care label’s directions. After pulling it from the washer, I let it air dry to see if it had all come out. Another thing I’ve learned is to never place a garment in the dryer without checking to see if the stain has come out. The heat from the dryer can cause the stain to set permanently into the fabric. It actually didn’t come out, so I used some liquid laundry detergent and gently rubbed it onto the area. I let it set for 20 minutes before laundering again. This time, after air drying the shirt, I discovered that the ketchup had come out. If it hadn’t come out after that, I would have stopped. It is a navy shirt, so bleaching wasn’t an option, and I would never risk his Cub Scout uniform. It is sacred. If it happens to you on a white cotton or a white cotton blend garment, you can use chlorine bleach to remove the stain. If it isn’t white, be sure to test for colorfastness first, and try a color safe bleach product. If after all that the ketchup remains, then stop. I’ve pulled the color from garments before because I didn’t know when to say when. Simply bring it by one of our locations, point out the stain, and let us know what products you used to try to remove the spill. We will be happy to take it from there.